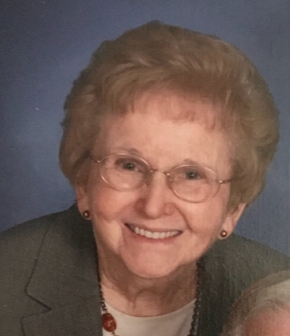 Nellie V. Bell – Age 88, passed away Thursday, August 23, 2018, surrounded by her family. She is preceded in death by her daughter, Sandra Bell Hunter. She is survived by her husband of 70 years, James Ray Bell; children, Brenda Hatcher and Jim (Janine) Bell; grandchildren, Jeannie Hatcher Mullinix, Tony Hatcher, Erin Hale, Justin Bell, and Alyssa Waldron; great grandchildren, Payton Waldron, Ella Hale, Lillie Kate Waldron, Leila Wren Hale, Isaac Mullinix, and Gabriel Mullinix; her sister, Bernice Chaney. She was a member of Kingwood Church of Christ and of the former, Pennsylvania Avenue Church of Christ. She was known by her family as an amazing baker. A Celebration of Life will be on Saturday, August 25, 2018, at 10:30am, at West Harpeth Funeral Home with Brother Clifford Dobbs officiating. Interment will follow at Woodlawn Memorial Park. Pallbearers will be Tony Hatcher, Justin Bell, Caleb Waldron, Andrew Mullinix and Austin Hale. Visitation with the family will be on Friday from 4:00pm until 8:00pm and on Saturday from 10:00am until service time at 10:30am at West Harpeth Funeral Home. Jim and family. We are so sorry for your loss, but know heaven is sweeter tonight. Our thoughts and prayers are with all of you. Dear Bell family, This lady was such a sweetheart to me. Her smile was so precious and I know she will be dearly missed by all of you. Thinking of each one of you with love and prayers. No words can express the pain you all are going through. Mrs. Bell was a blessing to myself and the entire nursing crew. You all are such amazing family to have welcome all of us in there home to work with her. She is truly missed by each of us and we will be here for you all to help. God bless you all. Our thoughts and prayers go out to the FAMILY. My deepest condolences to the Bell family. May God comfort your souls as only be can. Love and prayers are extended to you at this time, so very sorry for your loss. I spent my childhood and teen years going to church with this lady and her family. I send heartfelt condolences to the family of Nellie Bell. I am so sorry for your loss. My thoughts and prayers are with you and your family. May God’s amazing grace sustain you.